Our online auction solutions provide auctioneers with next-generation technology to smoothly and profitably conduct Timed Bid and Webcast live auctions. 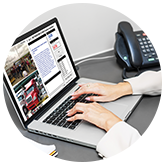 Over 1,000 auctioneers use our featured-filled and proven technology to maximize their reach, obtain higher final sell prices and protect their valuable bidder lists. As well our auction technology is functionally responsive for tablets and smartphones. And Vortex Auction Systems doesn't erode your commissions as we don't take a percentage on your sales. Your own user-friendly, professionnal and branded online auction platform. Manage the smooth progression of the online auction as a whole. Ensures you and your clients' complete confidentiality. Essential for efficient reporting and analysis of each auction's results. 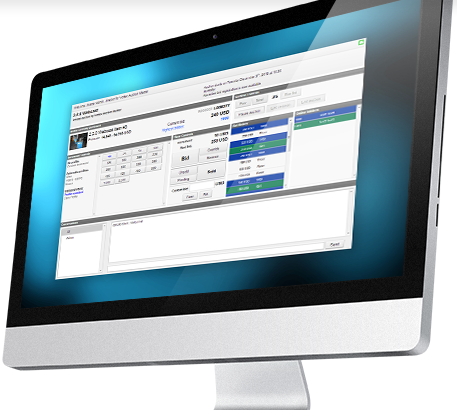 Vortex Auction System is an online auction solution designed with efficiency and performance in mind. Our 100% web-powered auction platform boasts a variety of features, including a user-friendly auction block module, an efficient purchaser-client module, a flexible administrative module and a comprehensive statistics module. 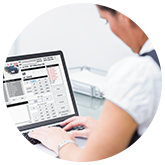 Vortex Auction System’s online auction software brings timed auctions and webcast auctions to auctioneers and bidders wanting to experience the benefits of new generation auction systems. Designed for easy and efficient integration with other management systems, Vortex Auction System allows clients to customize and set up the platform to reflect their brand image and auction needs.